The Donovan townhouse, located in Manhattan’s historic Chelsea district, is a four story single-family house originally built in the early part of the 19th century when the area was primarily inhabited by families involved with the sea trade. This historic house was converted into a tenement house before the owners undertook renovations in the 1980’s to create their home on the top three floors and a rental apartment at the garden level. This renovation restored the house to a single family residence and expanded the ground and second floors into the rear garden. The former ground floor apartment’s living room was converted to a library with extensive built-in cabinetry and a paneled ceiling. The apartment’s kitchen was reconstructed to provide a pantry kitchen and laundry room. 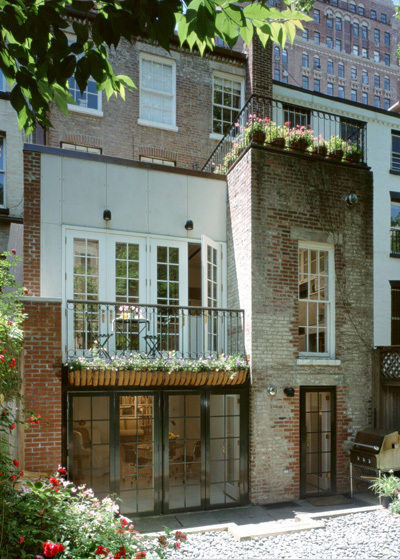 The addition’s ground floor became a garden room with french doors and skylight. 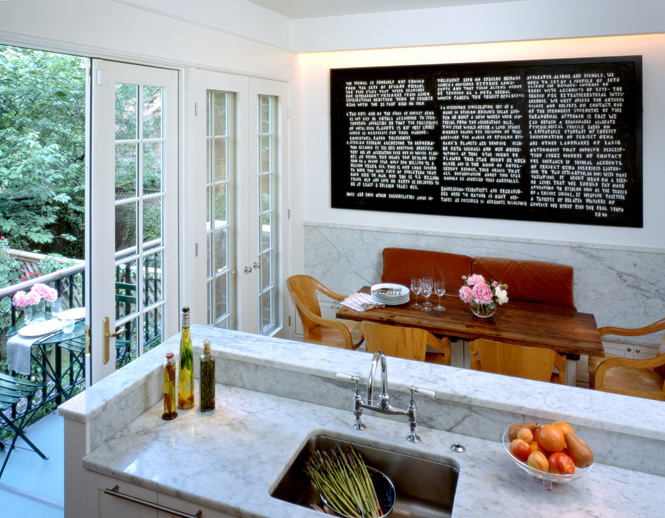 The second floor addition allowed the expansion of the kitchen and the creation of a family breakfast room. A glass balcony provides outdoor space off the eating area as it allows light to the garden room below. 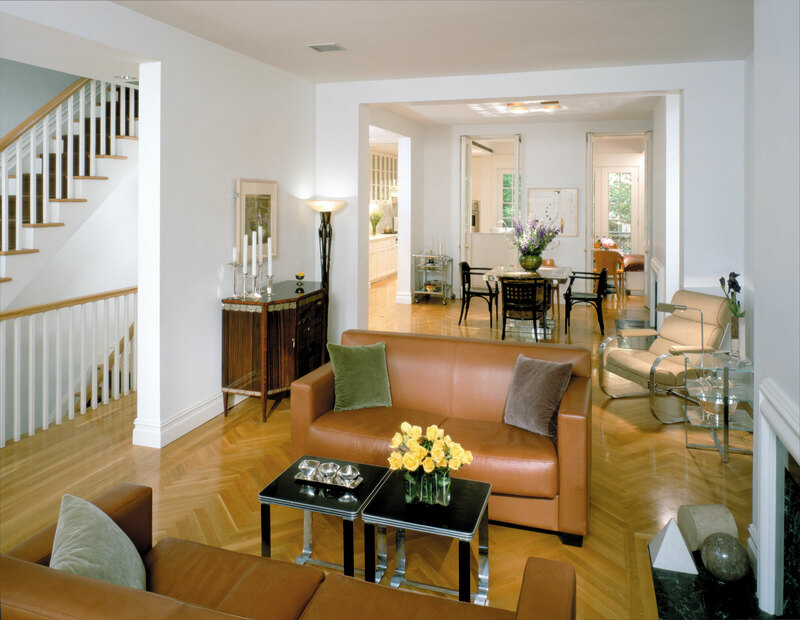 On the third floor, renovations included the conversion of the original family room to a child’s bedroom and the creation of a terrace garden on the addition’s roof. Minor renovation son the fourth floor included new hardwood floors and painting.